Cupcake BLVD in Crofton, Maryland has been written about in local papers, has scores of local patrons, and almost 2000 Facebook fans. I’ve passed by the shop quite a few times, driving up Rt. 3 after visiting my Mom in Charles County. Alas, every time I passed by it was later in the evening and they were already closed. I knew I had to get there and review the cupcakes, but my timing was always off. 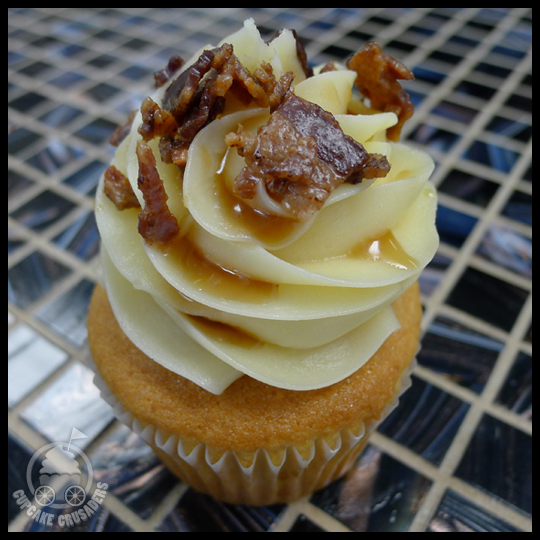 We all know I love bacon, and I sure was lucky they had two of these cupcakes left so I could add it to my order! The cake alone wasn’t too sweet or flavorful, but the frosting was truly amazing. Very smooth and buttery, this frosting was super maple flavored and the crunchy bacon on top added a great texture. 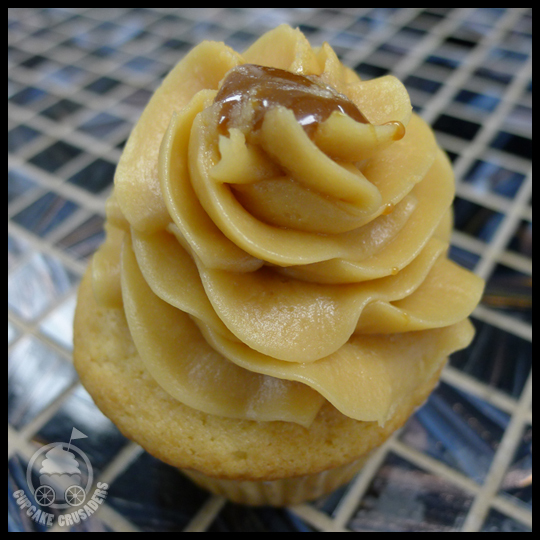 Caramel filling was the perfect addition to this cupcake. 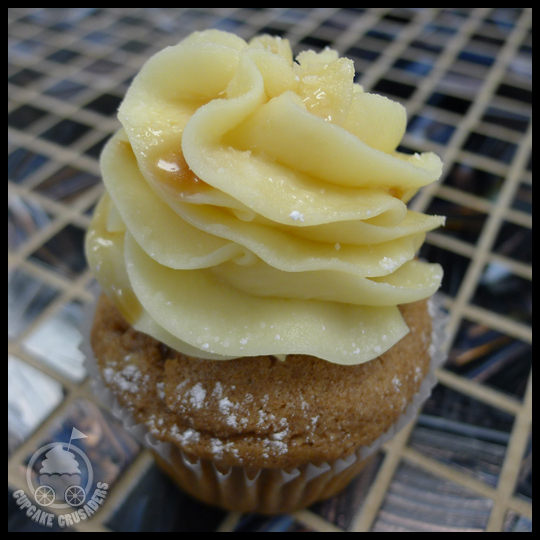 The frosting followed the buttery flavor and consistency that I would find on all BLVD cupcakes, with a moist semi-sweet cake. Not too sweet and not too boring, this cupcake achieved the perfect balance between cake and frosting. 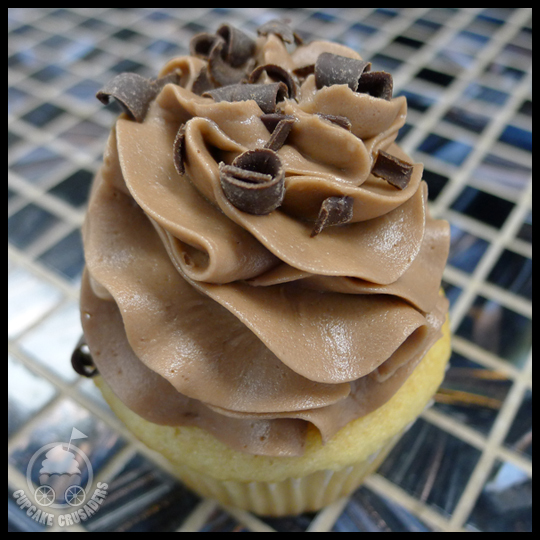 This Nutella filled cupcake had a lightly flavored and airy vanilla cake with smooth chocolate frosting. Like the other cupcakes, this one was just sweet enough, and the chocolate shavings on top added texture and melted in your mouth! While the other flavors were good, this cupcake really stood out of the bunch. It was amazing how this cupcake tasted exactly like french toast! You could really taste both the syrup and butter flavors in the frosting and the cake had a great light toasty flavor. I could have eaten about ten of these cupcakes, it was that good. With part of the namesake chocolate bar on top, how could you go wrong?! The filling was like marshmallow fluff and it worked well with the chocolate cake to create the milky way flavor. The frosting was a bit sweeter on this cupcake, but still smooth and buttery. Super amaretto! This cupcake was almost too beautiful to eat. 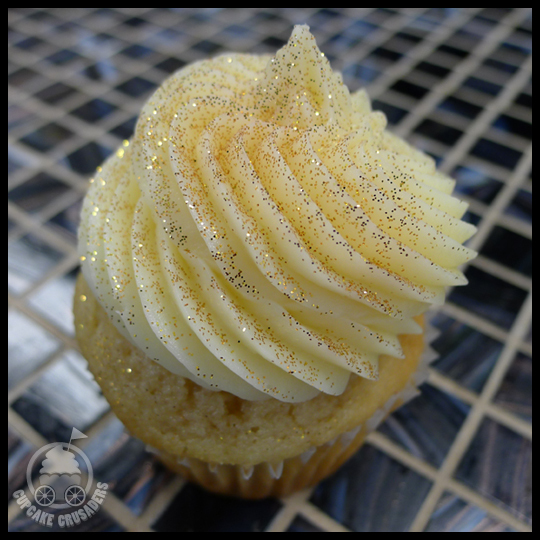 Edible glitter adorned the swirled, sweet frosting atop the moist and airy cake. Of all the cupcakes this was the sweetest. I love almond and amaretto, but because this cupcake was so sweet I couldn’t eat the whole thing—good thing I was sharing. 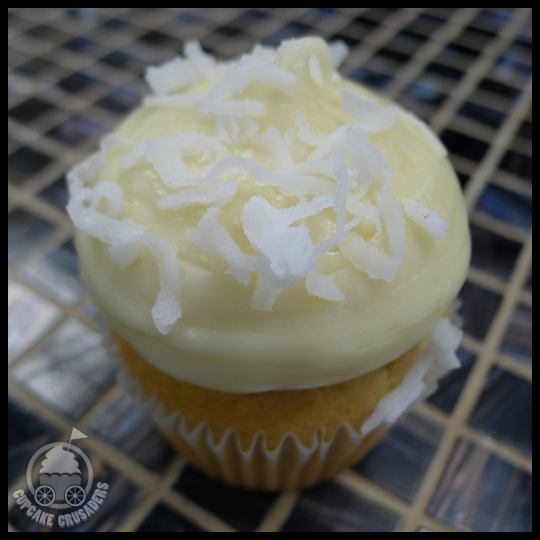 My favorite of the bunch, I have never had a better coconut cupcake. Moist, lightly flavored cake paired with a frosting packed with coconut flavor made for a very delicious cupcake. If you don’t like the texture of shaved coconut, just pick it off the top, I love the texture, so it was an added bonus for me! All of the cupcakes from Cupcake BLVD were a treat and most exploded with flavor. My favorites were the special “Mojadito,” Coconut, and French Toast. Angelette was lovely and couldn’t have been nicer—taking time out of her busy day to chat with me and give me a tour. The one thing I wished was for all of the daily flavors to be listed online, because I didn’t know that the Bacon Maple was an option until I got to the shop as it was not on their “daily flavors” list for Saturday. I could have easily called and asked, which I will do next time around so I don’t miss out on the Pumpkin cupcake. I look forward to going back to Cupcake BLVD and trying some more flavors with Crusaders Jenn and Stacy, because they’ve got to try them! 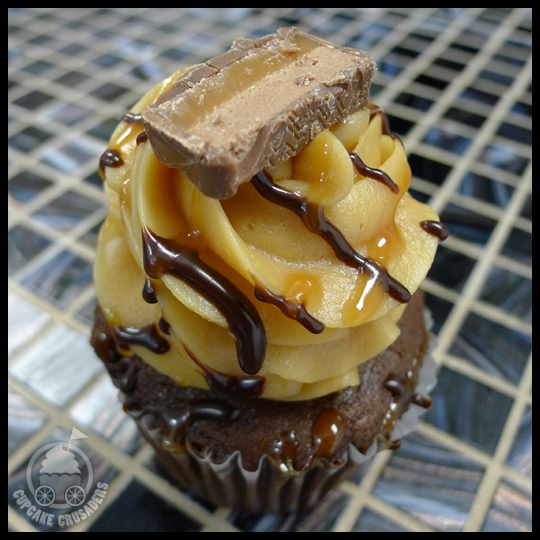 This entry was posted in Cupcakes, Maryland and tagged Amaretto, Cinnamon French Toast, coconut, Crofton, Cupcake BLVD, Dulce de Leche, Maple Bacon, Milky Way, Mojadito, nutella by Crusader Elisa. Bookmark the permalink.